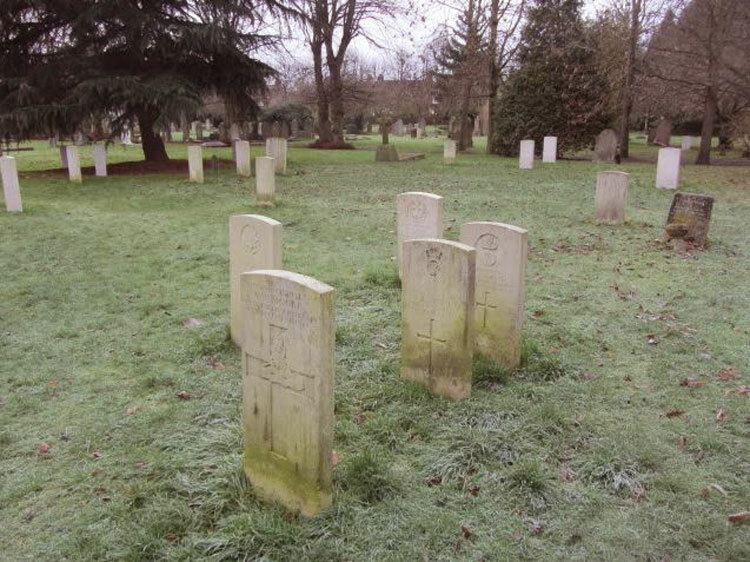 There are 179 Commonwealth burials of the 1914-1918 war in the Fulham Palace Road Cemetery. 7 of these are now commemorated on a single Special Memorial headstone. There are a further 57 Commonwealth burials of the 1939-1945 war in the cemetery, and those whose graves are not marked by headstones are named on a Screen Wall memorial in the main War Plot. 1 soldier of the Yorkshire Regiment is buried in the cemetery. The photos of this soldier's grave and of the cemetery are by Berenice Baynham of warmemorials.myfastforum.org. 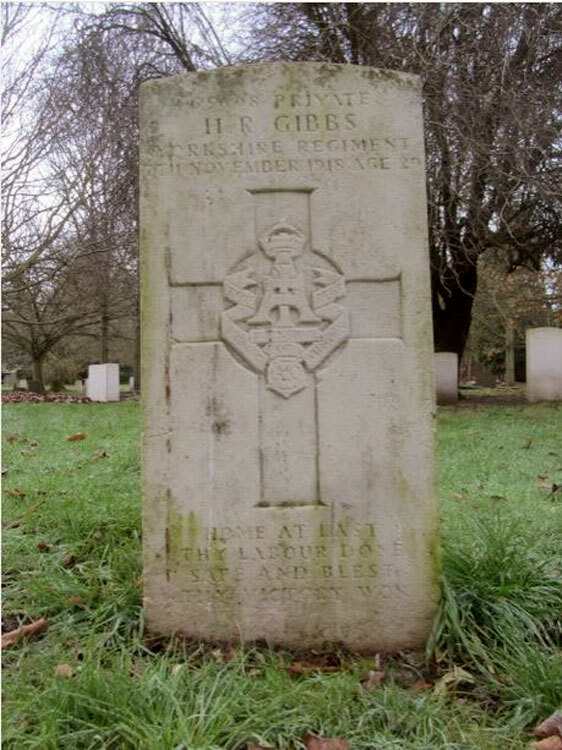 Private Henry Richard Gibbs. 65698. 18th Battalion the Yorkshire Regiment. 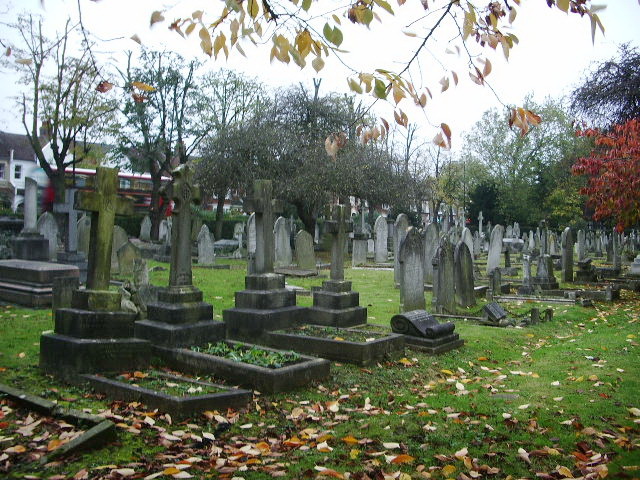 Son of Samuel and Annie Gibbs, of Fulham; husband of Mildred Gibbs, of 131, St. Olafs Rd., Munster Rd., Fulham. Died at home 7 November 1918. Aged 29.